Ecoglo’s mission is to create a safer environment for people of all abilities while reducing liability exposure to our customers. Our core focus of upgrading accessibility routes and infrastructures projects to reduce the potential for trips and falls has been the basis of our success. Click to gain access to various resources including installation instructions, building code compliance guides, product specifications, warranty information, FAQ’s and certificates of compliance. 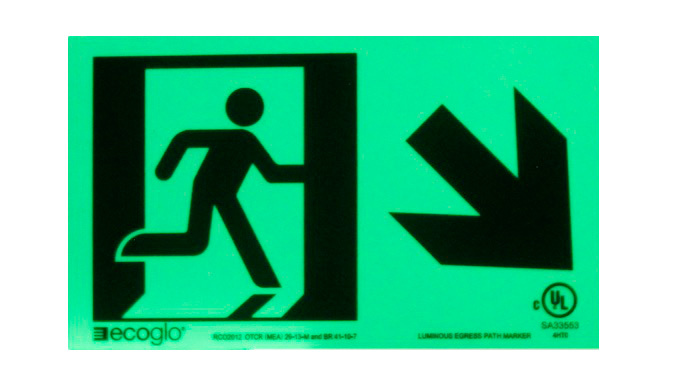 Ecoglo products are manufactured using advanced photoluminescent technology. Click to view Ecoglo products. 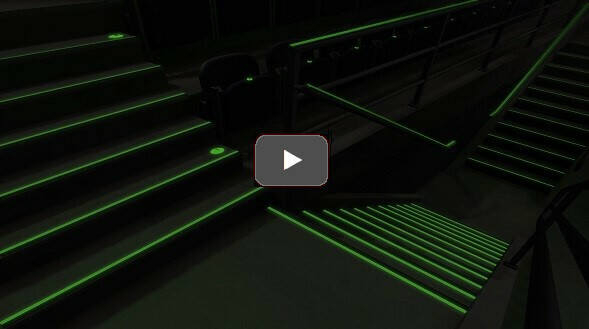 ECOGLO Photoluminescent products have been used in major facilities around the world. Click to view projects that use Ecoglo Products. Ecoglo products are manufactured using a patented process that is only used by Ecoglo. This tightly controlled application embeds the photoluminescent particles in a clear durable polymer. The physical nature of the dry powder embedding process and the optical properties of the polymer ensure maximum efficiency of the photoluminescent particles to absorb useful wavelengths from a natural or artificial light source. This light then re-emits from the product towards a viewer’s eye. Our products use a custom produced photoluminescent pigment which has greater longevity of glow than all the other pigments (over 100) which Ecoglo has sampled since 2001. We uses dry powder for maximum luminance. 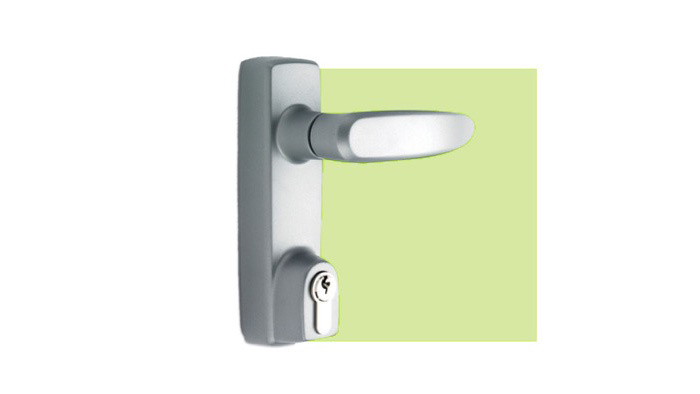 All Ecoglo products are engineered to provide greater visibility than relevant codes and standards currently require. Photoluminescent visibility is affected by more than just brightness (‘Luminance’); the other factor is contrast against adjacent surfaces. Contrast against adjacent surfaces is the critical parameter for visibility on a step edge. The step-edge products incorporate a black anti-slip strip that provides excellent luminance contrast and color contrast to the PL strip, so the step edge is clearly defined in all lighting conditions: dark conditions, light conditions and twilight or dim conditions. This means our products are visible from a greater distance and for a longer time after the lights go out. Ecoglo incorporates a black anti-slip strip for maximum visibility and edge contrast. The Ecoglo range has been subjected to accelerated UV/weathering exposure, and proven to be highly resistant to the effects of UV/weathering. Testing has been extended from the usual 1000 hour or 2000 hour test, out to 6000 hours, which can be interpreted to be similar to around 30 years of outdoor exposure. At 6000 hours exposure, while there is noticeable loss of gloss of the top surface, the loss in PL brightness is less than can be detected by the human eye (measured reduction of 5-8%). The unique ridges in the photoluminescent strips protect the glowing areas from most abrasive wear, and other incidental abuse. We use the patented process for maximum durability. Using powder means the polymer we use is “long chain” which forms a strong UV resistant product when bonding. The manufacture of all our products involves the integral bonding of the photoluminescent layer to a rigid aluminum substrate, so there is no chance of delamination or peeling. 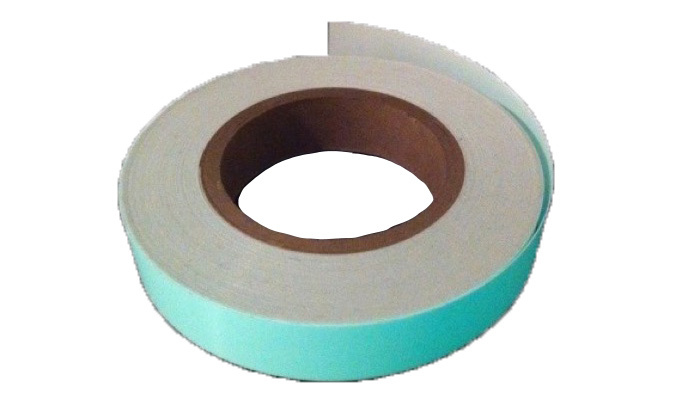 Rigid products spread any applied loads over a greater area of installation adhesive. 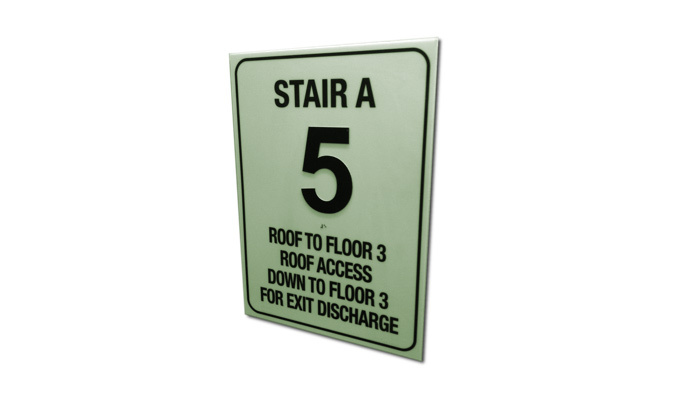 Ecoglo signage uniquely incorporates an integrally bonded antigraffiti protective top coat over the print, which also protects the print from abrasive wear. Because this top layer bonds into the substrate, there is no chance of delamination or peeling. Ecoglo bonds onto rigid aluminum and applies a protective top coat for greater installed durability. The unique ridges in the photoluminescent strips and the integrated anti-slip contrast strips provide all-weather slip resistance. 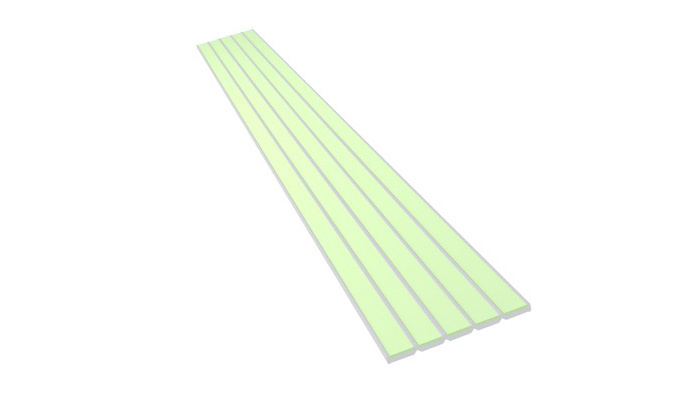 Ecoglo combines ridges and anti-slip contrast strips for slip resistance.